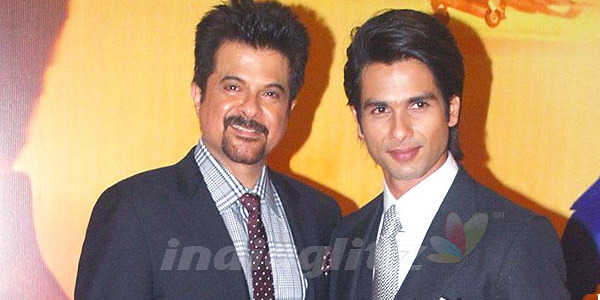 Director Kunal Kohli and Shahid Kapoor are working hard on Shahid Kapoor's next romantic movie Tere Mere Kahani. Release Date of this movie is 22 June 2012. Director Kunal Kohli is known for his super hit movies 'Fanaa', 'Hum Tum' and 'Mujh se Dosti Karoge'. All his successful movies are basically love stories and he is famous for making good love stories. This upcoming movie is also a romantic one so there are huge expectations about the success of this film. 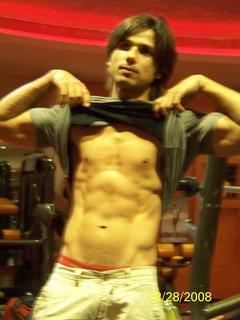 Shahid Kapoor is playing leading role of Javed along with Priyanka Chopra. Neha Sharma is also playing important role in this movie. Other star cast is not known yet. Pritam Chakroborty is music director of this movie who is one of the most prominent music directors of Indian film industry. Shahid Kapoor played all type of roles in his career but his fans like him more in romantic roles. Overall this film is one of the most anticipated romantic movies of year 2012. We have to wait and see if combination of Kunal Kohli and Shahid Kapoor will attract the audience to the cinema. New Delhi ( Pembabu Sharma)...With the glitterati of Indian cinema all set to descend in Macau on January 21 at Zee Cine Awards 2012, Zee Entertainment Enterprises Limited (ZEEL) plans to leave no stone unturned in ensuring that the evening of the "World's Biggest Viewers' Choice Award" is a spectacular success reaching out to millions of film enthusiasts across the globe. In what will emerge as the most synergistic, collaborative campaign by all of ZEEL's international territories including the Americas, the United Kingdom, Asia Pacific (APAC), Middle East, North Africa,Pakistan (MENAP) and South Africa, Zee plans to unleash an aggressive worldwide marketing blitzkrieg in the month that leads up to the grand ceremony. ZEE's cross-promotional initiatives are further strengthened by its indisputable global distribution and marketing edge. In an exciting announcement about the awards show, the channel has confirmed that heartthrob Shahid Kapoor will be performing at Zee Cine Awards 2012. Shahid will pay a dancing tribute to the superstars of dance from the yesteryears - the late Dev Anand and Shammi Kapoor at the awards soirée in Macau. Excited about bringing alive the aura of these iconic heroes, Shahid said, "I'm grateful to Zee for having approached me with such an interesting proposition. It's a sheer privilege to pay homage to great men like Dev saab andShammi ji. They are both exceptional and superlative talents who have made invaluable contributions to the world of Indian films. If I can recreate even a fraction of their magic, I will consider it an accomplishment and a humble tribute to these luminaries." The coming together of ZEE's global marketing teams will see more than 30000 promos running across its global network in 168 countries.The announcement of the Nominations on 24 December 2011 will kick-start an exciting contest where viewers from across the world will be called upon to send in their votes for their favorite nominees. Lucky winners will be flown in to Macau to stay and attend the grand ceremony at The Venetian® Macao. ZEE will make a strong impact in the digital space through increased consumer interactivity on their official Zee Cine Awards website, presence on social media such as Facebook and Twitter as also interactive mobile applications. Fans will have access to videos of behind-the-scenes star rehearsals, the ZCA premiere and red carpet events planned in Macau in addition to excerpts from the last 12 editions of Zee Cine Awards. Facebook users will soon be able to access a slew of exciting applications at https://www.facebook.com/ZeeCineAwards. Fans will also be able to interact with their favourite stars through video chats and buy merchandise autographed by leading stars as ZEEL partners with a leading auction web portal. Hosted by the Don-2 duo Shah Rukh Khan and Priyanka Chopra, Zee Cine Awards 2012 will be held at Asia's leading destination for business, leisure and entertainment, The Venetian® Macao. Since its inception in 1998, Zee Cine Awards has emerged as the biggest tribute paid to the world's largest film industry and has attracted stalwarts of both Indian and international cinema.. Besides locals from the city that it will be held in, the awards will attract 600 million viewers to television screens the world over. Zee Cine Awards 2012 will surely be an evening of celebration, acknowledgment and fun. Ranbir Kapoor and Shahid Kapoor are being considered to star in Vidhu Vinod Chopra's next film called 'Chithiyaan'. However, only one of them will end it up grabbing the lead role in Vidhu's film. The film is going to be a love triangle and Sharman Joshi has already been finalized as a second lead of the film. If sources are to be believed then Chopra met Ranbir in Los Angeles for the narration of the script, but Shahid Kapoor has been seen at Vidhu's office often in the near past and he is in talks for the same role. A source close to the filmmaker says, "The casting is still in process. It's a two-hero film. Sharman Joshi is definitely playing one of the two heroes. Chopra decided to sign him after watching the rushes of Ferrai Ki Sawaari. While he is very keen on casting Ranbir and has met him a few times, Shahid who is very eager to work with the producer of the Munnabhai series and 3 Idiots has been sending him feelers." When contacted, the spokesperson of Chopra's production company confirmed the reports saying, "The talks are on with both the Kapoor lads. We will find out soon who bags the role." Who should win the Best Actor(Male) for 2011 ? Who according to you should win the Best Actor(Male) for the year 2011.Please vote here . P.S: I understand that in a public voting system, the celeb with the most fans usually wins the Best Actor poll :), but if we keep our biases and favoritisms aside, Ranbir Kapoor truly deserves this one. Actor Shahid Kapoor and actress Priyanka Chopra will be back on screen in a lively, delightful and energetic avatar. The Bollywood stars have become Bru ambassadors for the new campaign of Bru Gold, which encapsulates the idea of living life 100% by making the most of every moment with every sip of 100% coffee.